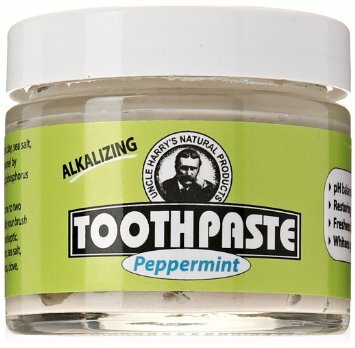 Uncle Harrys Natural Products company made a new natural toothpaste. Just by looking at the packaging you see this is not standard toothpaste. It is packaged just like Coconut Oil toothpaste. And if it is good as Coconut Oil Toothpaste this will be another natural toothpaste that you can buy for yourself or your family. There are not many ingredients in Uncle Harrys toothpaste. But one of them is questionable and not well researched. Colloidal silver is actually medicine. It was widely used in history. But after antibiotics kick in, usage of colloidal silver drops. Colloidal silver is better not used in high dosage because it could make your skin turn grey. The so-called argyria disease. There were many cases in history. But none of them in modern time. There is an unknown amount of colloidal silver needed to develop argyria. And we don’t know how much colloidal silver in the colloidal silver water is used in Uncles Harrys toothpaste. But other than turning your skin to grey there are no other problems related to this element. In fact, some studies show colloidal silver can cure many diseases and some scientist says that it can help curing cancer or even AIDS. But make no mistake by thinking this toothpaste will heal cancer. An amount of colloidal silver in Uncles Harrys toothpaste are probably minuscule. Other than colloidal silver water Uncle Harrys toothpaste contains many other interesting and healthy ingredients. Sea salt is one of them. We know sea salt is excellent in dental hygiene and that one of the better toothpaste you can get is Weleda Sea Salt toothpaste. Calcium carbonate is there to make more minerals in your mouth, to help remineralize your teeth. We know fluoride is proven as the dangerous remineralizing component. So Uncle Harry made an excellent mixture of calcium carbonate and ionic minerals remineralize your teeth. Peppermint, Oregano, and wintergreen essential oils are there to make your mouth fresh and to fight the bacteria in your mouth. But we should not forget that clove is one the most important aromatic ingredient in this toothpaste. Eucalyptus is another ingredient that you rarely find inside toothpaste. But we know that eucalyptus has some healing powers and is one of the herbs that can really help in your dental hygiene. Mustard seed powder is probably the weirdest ingredient you can expect in toothpaste. I really don’t know what is the purpose of this component and how it fits the whole Uncle Harrys formula. But we all know that mustard seed powder is a completely healthy natural element. Many people consume it on a daily basis. It is very popular in India. It looks like Uncle Harry has turned the table around. They created a perfect toothpaste. And it seems like time for toothpaste in the tube is over. Everyone will be switching to this new packaging that makes your teeth cleaning simple. But the point is not in the packaging but the ingredients. And ingredients in Uncle Harrys toothpaste are healthy and there are no hazardous elements. Maybe colloidal silver water will concern you, but don’t be afraid, I m sure amounts of silver in this toothpaste are very low. Your skin will not turn grey. And in other hands, colloidal silver may help you with other diseases that you may have.